While some of my garments have stories, others tell no tales. 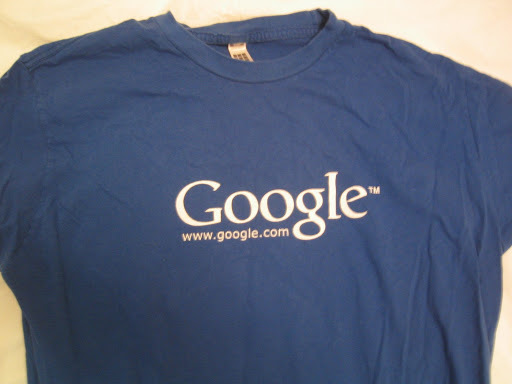 These two shirts were just random Google logo t’s that came to me via the T-Shirt cabinet — a magical place on campus periodically filled with random gear for Googlers. This mechanism has been the discussion of many email threads about proper etiquette and efficiency for optimal t-shirt distribution. 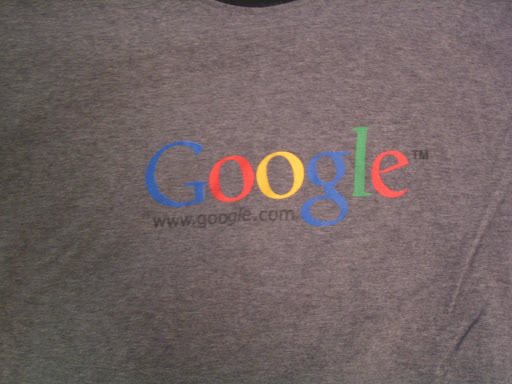 ← Google Gear: The IPO Hat?